This current generation is one of mobility. During the development of desktop computers people are very happy to find everything that can be documented in that one unit, whether for the office or for school use. Plus, you can also play with it. No need to go out to have fun. This time, that computer has been squeezed into a gadget that can actually fit in your hand. You can create the same types of documents that you can do in a normal desktop computer, connect to the internet, and you can call with it. The problem now for those heavily mobile is having a dead battery sooner than later at a time you are away from a power outlet to charge. What if your next call is important, or you need a file right away? 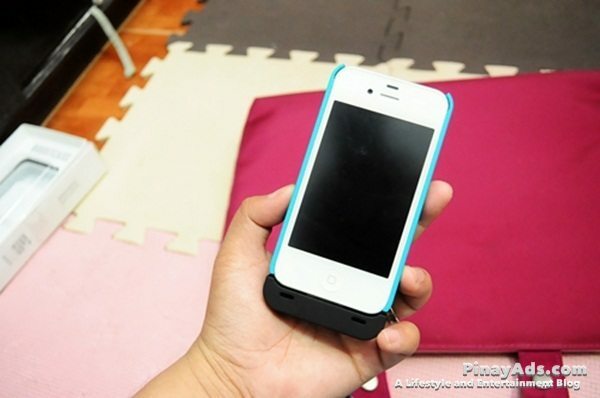 Your iPhone 4/4S has a solution right now, with a Boostcase Hybrid Case which has enough charge to make you browse 6 hours via 3G or 9 hours via wifi. Using it is as easy as a snap, literally, which also gives additional protection. It’s generally lightweight and slim but it still is an additional bulk and weight. What is more important, connection or smaller size? By the way, Boostcase Hybrid Case is available in several colors and can be bought for Php 3,550 (with extra battery) and PhP 950 for just the case. Boost Case is built with a durable easy-grip protective shell so it looks and feels like a protective case, its power boost hidden inconspicuously inside. 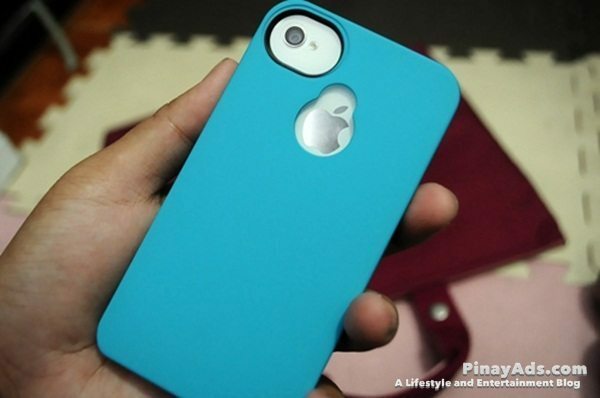 The case fits great and it completly wraps around all edges of the iphone protecting the phone in case of drops. 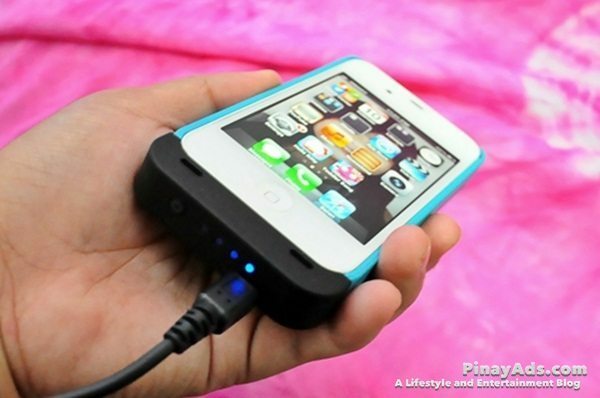 It drastically extends the phone’s battery life. 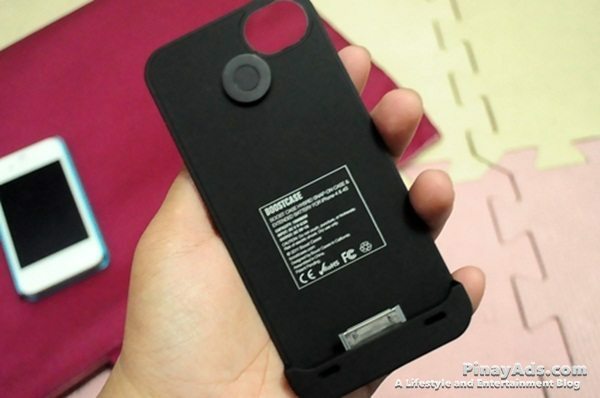 Once you charge the Boost Battery Case, all you have to do is attach it to the bottom of your iPhone and it’ll charge it up or run the phone (while the iPhone’s battery is dead). 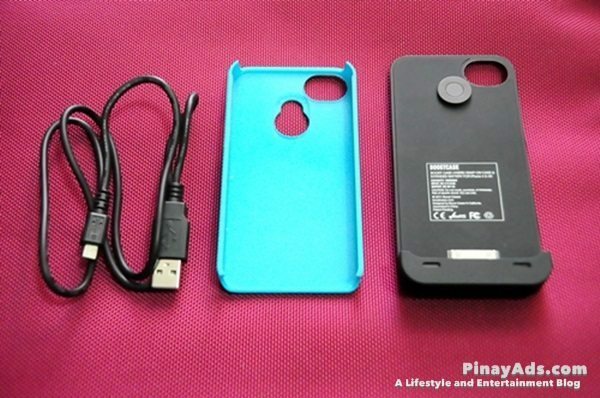 With 1900 mAH, it adds about 6 hours of 3G browsing, and 9 hours of Wi-Fi browsing in my real-world testing. I would have given it a 4.5 because of the length of the charging time, but it is definitely high quality. The Boostcase Hybrid Case is great to have for those emergencies or when you’re on vacation or just if you use your phone a lot.